Frederick County Landmarks Foundation is proud to host its Oktoberfest at Schifferstadt on October 18th and 19th, 2014. Saturday 10am - 5pm, Sunday 12noon - 5pm. Planning has begun for our Oktoberfest celebration. (The vendor line-up is full; we are not accepting any more craft vendors at this time. ) 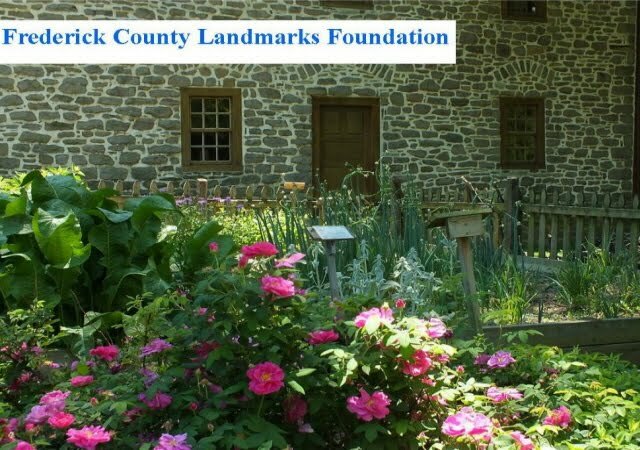 This is an important fundraising event for our foundation as it helps to sustain our operating costs and maintenance of Schifferstadt and Beatty-Cramer House. Enjoy a festive atmosphere on the grounds of a picturesque, historic German colonial farmhouse. This traditional festival takes place the third weekend in October, rain or shine. It features juried arts & crafts, cultural activities, German sausage, beer and strudel. The oompah band and colonial living history demonstrators make for a lively and educational event as well. Admission: free to the grounds. Tours of the Schifferstadt Museum are offered for a (discounted) requested donation of $4.00 (12yrs. and under are free). Hours are Saturday 10 a.m. to 5 p.m. and Sunday noon to 5 p.m.